DataONE Webinar Series: From Rolling Deck to Repository (R2R): Lessons Learned in Managing Data for the US Research Fleet from DataONE on Vimeo. Bob Arko is a research engineer at Lamont-Doherty Earth Observatory in Palisades, New York. 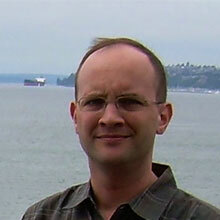 He is Co-PI and Technical Director of the R2R program.